You have just over a month before your family digs into a plateful of turkey, stuffing and pie! Right now you have plenty of time to plan your Thanksgiving dinner — but don’t let that time get away from you! Thanksgiving requires a lot of work and a lot of tools to make the meal perfect. To make it easy for you, we put together a list of items you might need. Here are this week’s Items We Adore: LTD’s Product Picks for the Week for Thanksgiving Dinner. 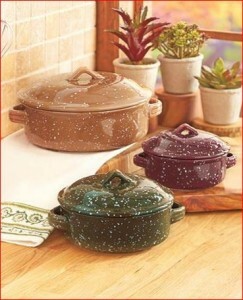 Keep It Covered Make a meal for a party, a few friends or just the two of you with this Set of 3 Covered Casseroles. The set comes in graduated sizes to fit the number of portions you wish to cook. Each stoneware piece has handles for easy carrying and comes with a matching lid. Stoneware. Dishwasher, microwave, oven and freezer safe. 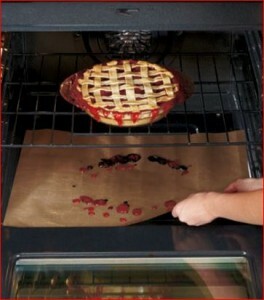 Keep It Clean Eliminate hours of scrubbing when you position a reusable , nonstick liner inside your oven. It catches all those messy drips, and because it’s made of specially coated nonstick fiberglass, it easily wipes clean with a cloth or non-abrasive sponge. Unlike aluminum foil, it won’t affect cooking time or browning. Works on gas, electric and toaster ovens and can be cut to size if needed. Lasts for years. 23″ x 16-1/4″. Keep It Warm Always be ready to share your favorite dishes with the Monogram Food Carrier and the Extra-Large Gel Pack. 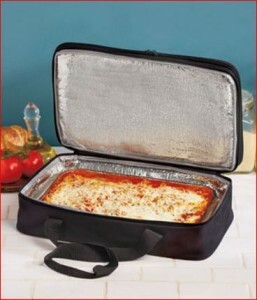 The Monogram Food Carrier (18-1/2″ x 11″ x 8″, fully expanded) has two insulated, expandable sections that let you pack a hot dish on the mylar-lined bottom (18-1/4″ x 10-3/4″ x 3-1/2″) and a cold dish on top. The wipe-clean polyester exterior sports a stylish monogram that identifies you as the chef responsible for the tasty treats. The 6-1/2″ double handles make it easy to carry, while the double-zipper closure makes it simple to take the food in and out. The dual-use Extra-Large Gel Pack can be used to keep food at the proper serving temperature. Put it in the food carrier to keep dishes hot or cold when you travel. Large, slim design doesn’t take up too much space. Easy-to-follow instructions are printed on the vinyl cover. Microwave and freezer safe. 10-1/2″ x 7-1/2″. Keep It Tasty Unleash your inner chef with the Gourmet Kitchen Gift Sets. The 5-Pc. 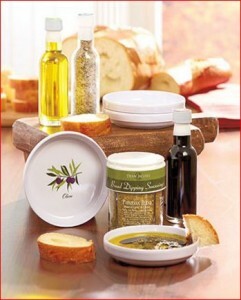 Bread Dipping Set includes 4 decorated saucers and a 4-compartment plastic jar packed with seasonings. All you add is a loaf of crusty bread and a bottle of olive oil for a delicious treat everyone will love. Each saucer (4″ dia.) 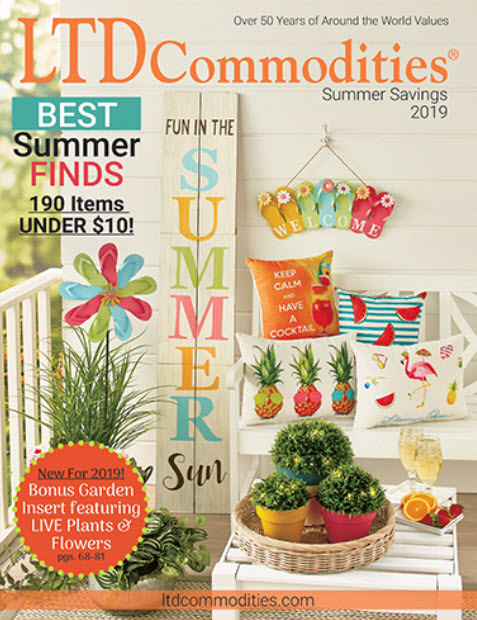 features an olive branch design and raised edges to keep your oil from spilling. The seasoning jar includes Sicilian, Parmesan, Tuscany and Rosa Maria blends (0.6 oz., each). Plates, melamine. Dishwasher safe. Use a 4-Pc. Gourmet Set to spice up your favorite meal, as a marinade, or to add a creative twist to your cooking. Just mix the flavors in! Sea Salts, approx. 1.8 oz, each. Balsamic Vinegar and Olive Oils, approx. 1.7 oz., each. Keep It Easy The 1 Second Slicer(TM) is an all-in-one food prep station. 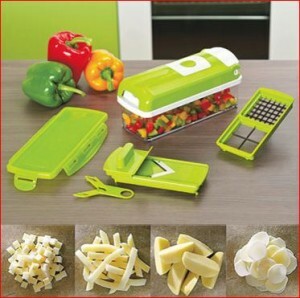 From fruits and vegetables to meats and fish, now you can cut everything with one handy gadget. Get professional results in a flash and then serve, seal, stack and store all in one compact container. The chop function even features 1-button cleaning. Plastic and stainless steel. Dishwasher safe.